Monster Slime. Perfect for the ghoulish days to come! 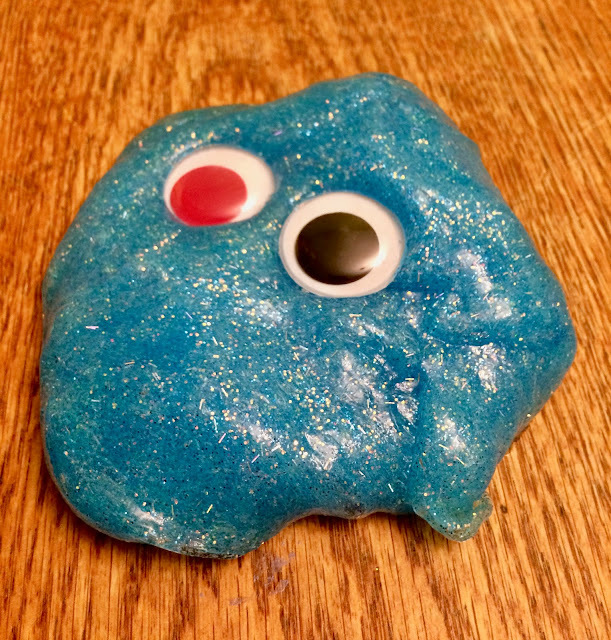 My kids have been begging to make slime, particularly my son. I was hesitant, however, because we still have slime on the ceiling from our last encounter with the ooey gooey mess-maker. But, after a month-long (plus) ban, I decided to give it another try. Besides, the homemade stuff isn't quite as goopy as its store-bought counterpart. So I headed to Walmart for supplies while the kids were at school. I came across a slime starter kit and it was on clearance. My favorite! It even had a recipe on the back. This one was a little different than the slimes we have made in the past, but I figured it was worth a try. The slime we made in the past called for glue, borax and water. This one had glue, contact solution and baking soda. When I looked at the contact solution ingredients, I saw that it contained boric acid, so I'm guessing that's a key component in slime-ification. 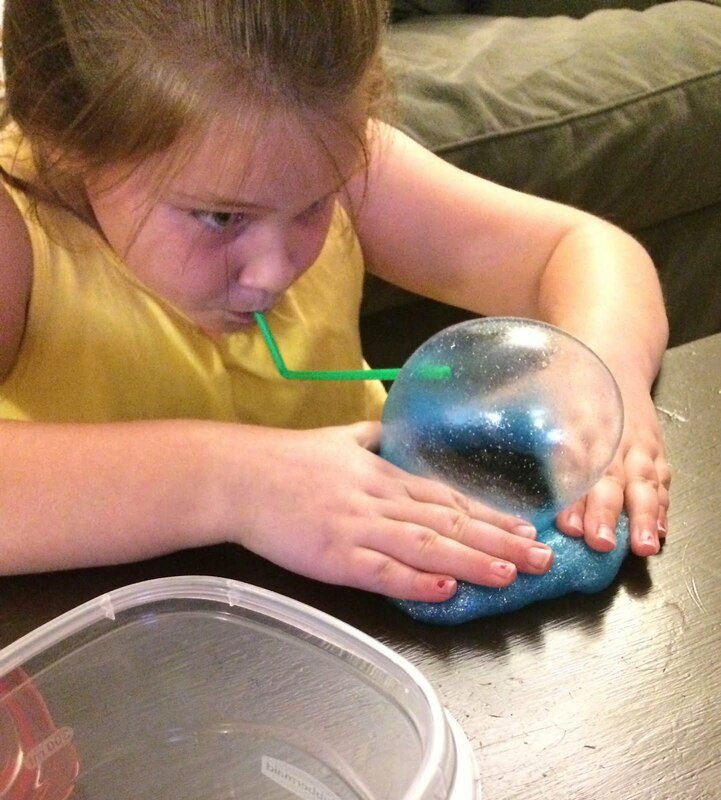 Did you know you can use a straw to blow bubbles in slime? I hadn't thought of it, but apparently the kids are full of ideas. And it works quite well. Go ahead, give it a try! I will say that this one, made with the blue glitter glue (plus some extra blue glitter for good measure) worked the best. The slimes made with clear glue and added food color and sprinkles seemed to seep water for some reason. Below is the gold slime we made with clear glue, yellow food coloring and gold sparkles before it started to separate and get watery. Add baking soda to glue and mix thoroughly. Add contact solution and stir until mixture gets firmer and slime begins to form. It's really easy, not to expensive and a lot of fun. 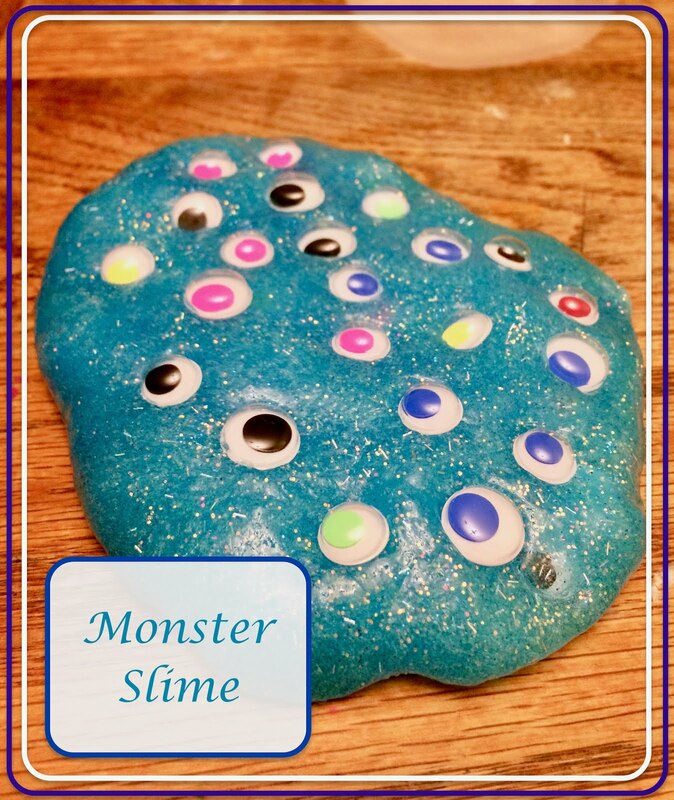 This is one of the easier and less messy slime recipes available, especially when you compare it to the cornstarch and water concoction my kids like to make. That one I recommend for a warm summer day! As a reminder, I'm taking part in the Ultimate Blog Challenge! Yes! 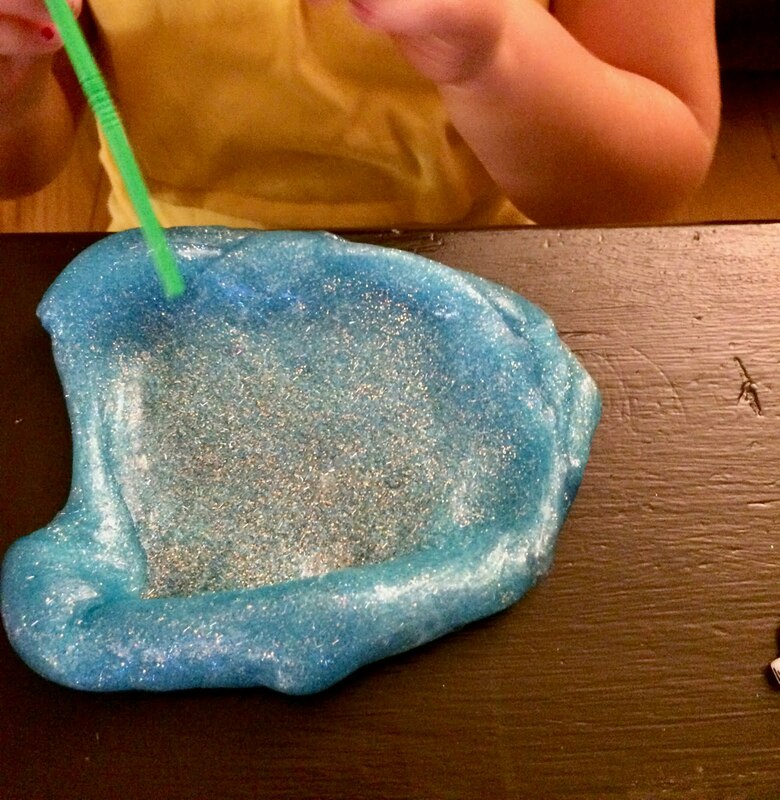 My kids and I make slime often and it's so easy to do! Hours of entertainment. My son and his friends would love this and I can't wait until I am able to make it with them as I know it will help us create new memories. Curious if you ended up making the slime. You're welcome. I hope you both had fun with the slime!